What we do - We make the best of the best! Irons, Wedges, Putters, Drivers, Fairway Woods, Hybrids... All of our clubs are assembled just like a pro tour player would want! Before we assemble a club, we weigh and spec out each component! The head, the ferrule, the shaft, the grip tape, and the grip. For the shafts it's a 3 step process even before assembly! We weigh all of our shafts as we get them from the manufacturer. We then raw frequency them to get their raw flex. We then spine-align/balance them for the ultimate in performance! We are not gender specific - it doesn't matter if you are male, female, old, young, big, small, fat or thin.. we make golf clubs for the individual!! No matter what gender or what size you are, all of our golf equipment is custom fitted to you.. the person! All of us are individualistic and have different characteristics and your golf clubs need to be custom fitted to you just like your shirts, pants, socks, and shoes! You can probably fit in my shoes but I probably can't fit in yours! Either way we both would not be comfortable right? Right! It's all in the numbers! Before we assemble a club, we weigh and spec out each component! The head, the ferrule, the shaft, the grip tape, and the grip. For the shafts it's a 3 step process even before assembly! We weigh all of our shafts as we get them from the manufacturer. We then raw frequency them to get their raw flex. Then we are able to determine each shafts characteristics! Can you tell which one of these shafts wouldn't make the cut? 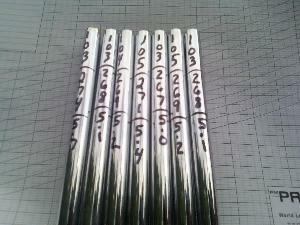 How about the 103gram 5.7 flex shaft.. nope, its got to go for this set of shafts for a 5-PW set. 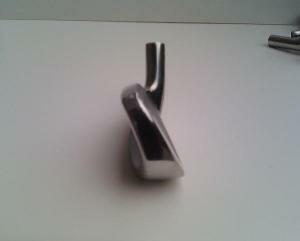 And then we will use that 105gram 5.4 shaft for the PW in the set. All shafts are spine-aligned/balanced in house with our machines, our hands and our eyes!.. again, only the best in Products and Services! O'Connor WS Tour Series Irons! Only the best if it has my name on it! The O'Connor WS Tour Series Irons are made from 431 Stainless Steel, are perimeter weighted, and have full cavity backs for the ultimate in feel and forgiveness! It has been a 3 year process but we finally found the perfect manufacturer to work with for our new line of WS Tour Series irons! Each set comes with a certified O'Connor Golf Company signed assembly sheet with all of the specs! You ever seen an iron lay flat like this on a table top? Nope, probably not! What does this really mean? Well think about it... if the club head lies flat and perfect like this.. then that's how its going to be balanced at impact! Makes perfect sense doesn't it! The combination of having a balanced club head, along with a spine-aligned/balanced golf shaft is a hard combination to beat! Again, only the best! A great compliment to our O'Connor WS Tour Series Irons is our offering of the Tour Series 888 Hybrid! 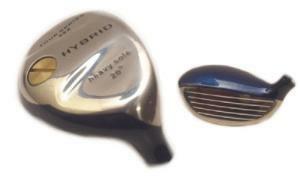 Excellent head design with a "Heavy Sole" meaning more weight is underneath the ball to get the ball out and up - especially from those tight lies. Also has a weight port for adding additional weight if necessary. 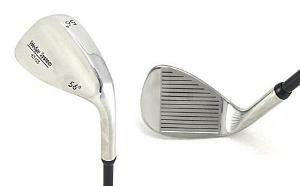 And to round off a complete set, we offer the Wedge System 431SS Wedges. Just like our irons, they are made from 431 Stainless Steel. These scoring wedges have more of a slim and solid design for the ultimate in control around the greens, from the bunkers, or those 30-50 yard chips and pitches! Joey oversees and has his hands on every single part of the club building process for O'Connor Golf Clubs! O'Connor Golf Clubs are sold as a complete set of 13 clubs - 3 Hybrids, 7 Irons, and 3 Scoring Wedges! All feature Apollo Acculite 95 Gunsmoke Shafts (which will be of course frequency matched and spine-aligned/balanced!). Tour Series 888 Hybrids, WS Tour Series Irons, and Wedge System 431SS Wedges! However, we understand that some may be on a budget so you will find below just being able to purchase irons, hybrids, or wedges. Tour Series 888 Hybrids and WS Tour Series Irons are now assembled with Lamkin R.E.L. 3GEN Grips! Wedge System 431SS Scoring Wedges are now assembled with Lamkin's new Performance Plus Special Wedge Grips! These special wedge grips are 1 inch longer allowing you to choke down on those short chip shots and still have your hands on rubber! All O'Connor Golf Clubs will be custom fitted by Joey O'Connor himself! 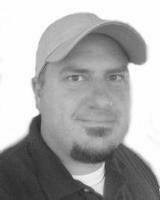 Mr. O'Connor will work with you privately one-on-one before, during, and after the building process! An hour or two working with you and watching you hit balls, maybe play 9 holes, and then once your clubs are built, and you have had time to play with them a few weeks, Mr. O'Connor will get back with you once again to make any fine tunings/adjustments! Mr. O'Connor learns all aspects of your swing and game to be able to make you the best set possible! Just like a tour player would want! Only the best! But you need to sign-up and get your set soon as sets are built on a limited edition bases! Mr. O'Connor only fits/builds 24 sets a year! Any client that purchases a set of O'Connor Golf Clubs will get discounts on private golf lessons, re-grips, re-shafts, and general golf repairs! specifications have minor tolerances and/or are subject to change. Don't want equipment right now but want to be fitted? Get a private 1-on-1 fitting session with Joey O'Connor! ($95.00) price does not include facility fees or range/practice balls. Measurements and devices to find, but are not limited to, wrist to the ground, hand size, flex of shafts, torque of shafts if graphite, lie, loft, etc., and visual inspection of golf swing hitting balls. 90 minutes. Price credited towards set of O'Connor Tour Series full set of 13 clubs if purchased within 180 days. Interested in Copies / Clones / Components? 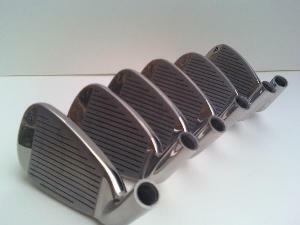 Check Out Joey O'Connor's Wholesale Golf Components! Now With Assembly Options! its' owners, partners, licensors, manufacturers and distributors - All Rights Reserved.